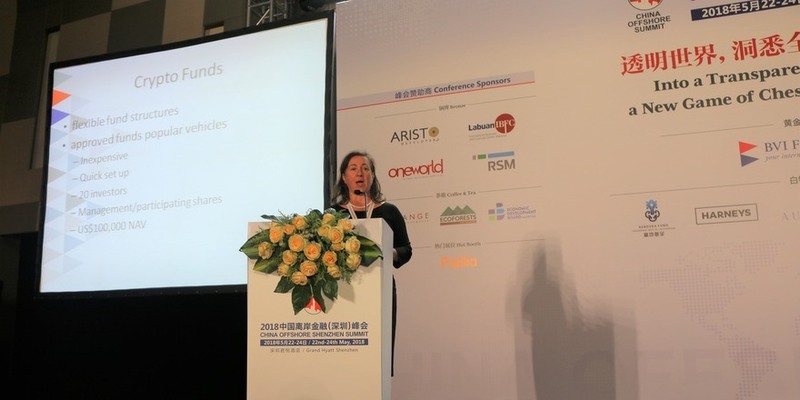 Shenzhen, May 31, 2018 - The BVI has the perfect vehicles for crypto-funds, according to Marianne Rajic, Managing Partner of Campbell’s Hong Kong office. 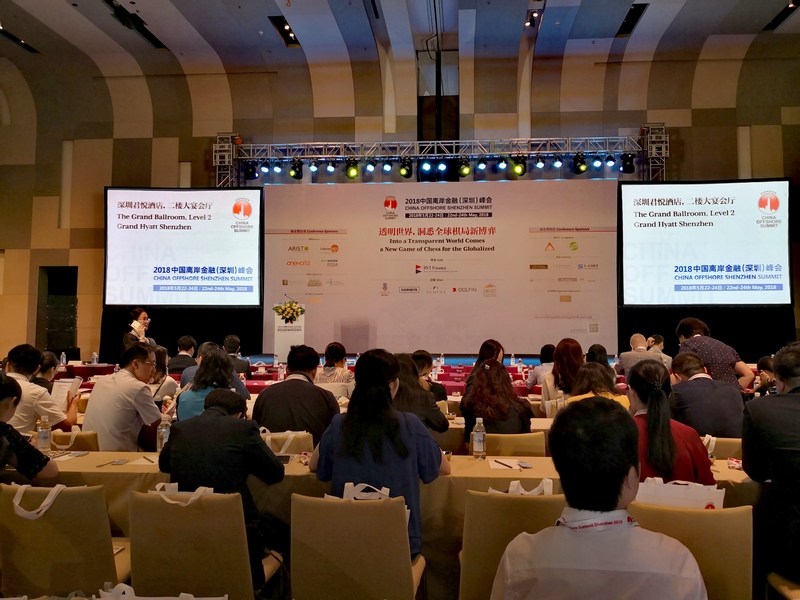 Rajic made the statement to more than 350 business leaders while speaking at the recently concluded China Offshore Summit in Shenzhen on the topic of “BVI, A Jurisdiction of Choice for Technology Funds”. Rajic explained that the BVI’s Incubator and Approved Funds, both of which allowed a maximum of 20 investors and which are capped at US $20 million and $100 million net asset value respectively, were indeed the perfect vehicles for crypto funds. While Incubator Funds do not require an auditor, custodian, administrator or manager, the Approved Funds required an administrator who is favoured by many potential investors to provide some independence in the operation. The speed of incorporation and approval by the BVI Financial Services Commission, which regulates investment business in the BVI, are of particular importance when choosing to use these BVI vehicles for crypto-funds. “It usually only takes about two or three days to have them approved,” said Rajic, “and they are quick to set up and inexpensive to run.” BVI Approved Managers are a great complementary product for crypto funds. BVI’s Approved Manager operates under a regulatory light regime for qualifying managers and advisors who are incorporated or formed in the BVI with assets under management in qualifying open-ended fund structures ofUS$400 million or less and/or US$1 billion or less in qualifying close-ended structures. Rajic also pointed out the benefits of using BVI vehicles, such as a BVI Business Company, or the new Limited Partnership, for fintech products. As there are currently no licensing requirements for fintech products, Rajic said “the BVI Business Companies provide a great platform for fintech companies because of their unparalleled flexibility.” Other benefits include the creditor friendliness of a BVI Business Company or a new Limited Partnership, and a well tested insolvency regime. Meanwhile, Mark Cummings, Partner at Walkers Hong Kong and a panelist at the Summit, said that he has also seen a very significant increase in use of BVI Incubator, Approved Funds, and Approved Managers, especially in the crypto space compared to traditionally used vehicles from other jurisdictions. Other panelists who also spoke about the advantages of using BVI structures in China, included Wisdom Hon, Associate at Ogier and Kristy Calvert, Managing Partner at Harneys Shanghai office. Hom spoke about the BVI’s innovative systems and the right balance it strikes between providing the privacy that the clients want and complying with the international transparency initiatives. Calvert said that the BVI was a tax neutral jurisdiction, meaning that it does not add an additional burden of tax to business transacted through the jurisdiction. She also highlighted the speed and ease of forming companies and other structures in the BVI.